How to play Blu-ray on iPhone? Blu-ray has become the leader in the media world, because it is the only widely-available high-definition format for optical media, capable of supporting 1080p video. Although Apple is reluctant to ship with Blu-ray driver, you can also to enjoy Blu-ray HD videos on your Mac via a Blu-ray driver and a Mac Blu-ray Player. But more and more users wonder if there is any possible to play Blu-ray on Apple mobile devices, like iPhone, iPad and iPod touch. It is well known that iPhone is the world’s most advanced mobile phone and has swept the world for its easy-to-use interface, amazing features and rock-solid stability. Currently, iPhone users are crying for Blu-ray playback on their beloved iPhone. In order to meet this demand, Macgo Inc. has recently released Mac Blu-ray Player 2 version. 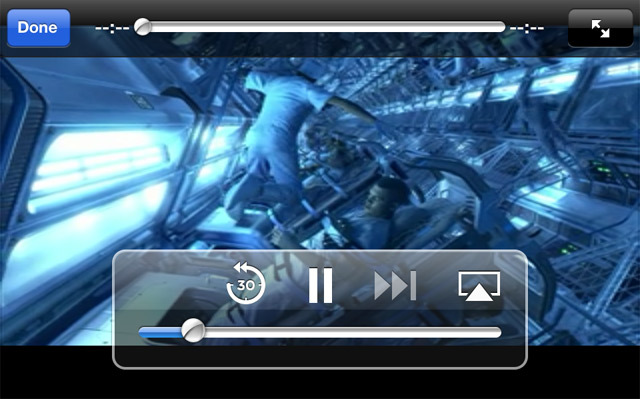 Through its core technical innovation – AirX , you can play any Blu-ray video on your iPhone directly. You should have a Mac/PC, an iPhone and an optical drive (internal/external with USB above 2.0), and make sure that the Mac/PC and iPhone are connected to the same home Wi-Fi. There are two options: Mac Download and PC Download. You can choose the suitable one compatible with your computer system and install it. 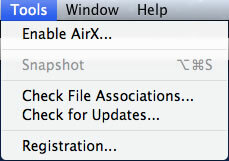 Open Mac Blu-ray Player and enable the AirX option under the ” Tools” menu before inserting Blu-Ray Disc™ or playing Blu-ray ISO or local movies. 2) Click on “Open File” or “Open Disc” button to launch the Blu-ray movie. It will take a couple seconds to load the movie. When the loading is finished the screen will go black and then you can get the website URL “http://airx.tv “. 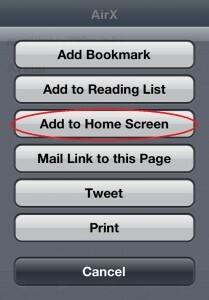 3) Open “Safari” in your iPhone and input the website URL above into it. Then the loaded Blu-ray source will be listed, you can enjoy Blu-ray movies on your iPhone then. After watching the movie, you can save the URL as a shortcut on the home screen of iPhone, so that you can open the URL directly next time. 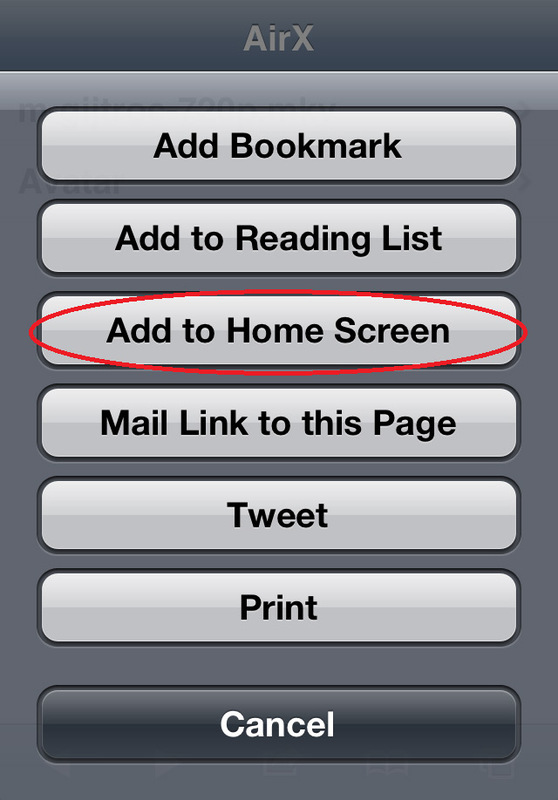 In details, you can press the save button on your iPhone and select the “Add to Home Screen” option, and then it will be saved as a shortcut on the home screen of your iPhone. Note: Mac Blu-ray Player can play all Blu-ray sources, no matter encrypted or decrypted, like Blu-Ray Disc™, Blu-ray ISO and it can also decrypt any Blu-ray encryptions, such as AACS and BD+ (for legal use only). this new options are useless, and waste of time. @Nando Thanks for your suggestion, we are devoting ourselves to make these come true.